Trucking industry experts estimate there are approximately 15.5 million commercial trucks operating in the United States alone. That’s why it should come as no surprise that accidents involving large trucks can and do happen. The consequences can be devastating when they do. After all, trucks are naturally larger than many other vehicles on the road. Thus, their potential to cause significant damage is greater. Have you or a loved one been involved in a truck accident? If so, you may be entitled to compensation. Get in touch with our team at the Jorgensen Law to discuss your case with top San Diego truck accident lawyers. If we decide to represent you, we’ll take steps to conduct a thorough investigation, helping you get the compensation you deserve. It’s unfortunate that the number of fatal truck accidents occurring in the US annually is on the rise. That said, the trend makes sense. More and more vehicles are entering our roadways. Large trucks are among them. Although trucking companies ideally strive to only hire qualified individuals who’ll operate their vehicles safely, they can’t always prevent accidents. That’s because many factors contribute to accidents occurring in the first place. Injuries caused by truck collisions are often more severe than those resulting from other types of auto collisions. Collisions involving trucks are also more likely to result in fatalities. That’s why it’s very important for those who have been involved in such accidents to secure proper representation from attorneys. When you research “truck accidents lawyers near me,” you aren’t just looking for someone who can help you get compensated. You’re also taking steps to ensure all responsible parties are held accountable. This serves to prevent future accidents. When trucking companies face legal repercussions for their negligence, they’re more likely to take steps to guard against them. In other words, when you file a lawsuit, you’re helping yourself and helping your fellow citizens. Act sooner rather than later. The Statute of Limitations requires you to file a lawsuit within a certain period of time. If you miss the deadline, you’ll waive your right to compensation. Get in touch with an attorney now to make sure this doesn’t happen. 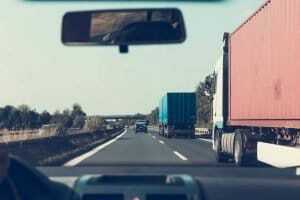 Determining who is liable in a truck accident case isn’t always as simple as you might assume. Again, many factors can play contributory roles. Sometimes it’s easy to demonstrate the truck driver was negligent behind the wheel. That said, it’s not uncommon for multiple parties to share some degree of responsibility. Maybe you’re one of them. 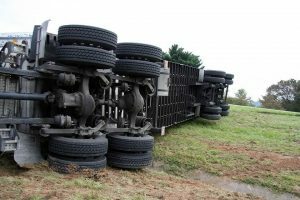 Although the truck driver may be the individual most responsible for the accident, it’s possible the accident may have been avoidable had you acted differently. This is an important principle in the San Diego courts. California allows individuals to share liability in these cases. That impacts the amount of compensation you’re entitled to. For example, the court may find you’re 10% liable. Thus, you’ll only receive 90% of the full damages you might otherwise have received. This is obviously fair. However, determining the degree to which various parties are liable is a complicated process. You need help from the best truck accidents attorney you can find in order to make sure you’re not found to be more liable than you actually were. It’s also worth noting that the vehicle operators may not be the only potentially liable parties when truck accidents occur. Maybe the trucking company failed to perform necessary maintenance on its vehicles. This could have caused a performance issue which resulted in the accident. It’s obviously necessary to be sure the company is brought to justice if this is the case. The problem is, this may require an investigation. You likely don’t have the resources to conduct one yourself. That’s another reason you need an attorney. They know how to investigate these cases as thoroughly as possible. Hiring one boosts your odds of making sure the parties that are actually liable are the ones who pay out. Looking for the Best Truck Accident Lawyer in San Diego, California? The aftermath of a truck accident can be a difficult time. Aside from trying to pay medical bills, you may be struggling because you can no longer work or live independently as a result of your injuries. In fatal truck accidents, family members are left to grieve. We understand this at Jorgensen Law. That’s why our dedicated attorneys work hard to ensure our clients receive proper compensation. If you or a loved one has been harmed in a truck accident in the San Diego area, contact us today to schedule a consultation. We’ll review your case and determine the best steps to take next. Call 1-888-855-2948 today!